For over 80 years we exceeded our customer’s expectations by continuing to support the military with advancements in technology and performance enhancements in our suspension systems and components. Our legacy is still alive and strong, and will continue to support our armed forces around the world. Over the past 80 years, Hendrickson Defense has led the industry with breakthrough suspension designs and strong manufacturing expertise. Rigorous testing and advanced analysis techniques enable our products to meet the most stringent durability requirements while exceeding expectations in vehicle performance and weight. Hendrickson Defense has supported our military for over 80 years through various programs. For more than eight decades, we have continued to expand our involvement with defense through numerous vehicle programs including the HEMTT, HET, PLS, MTVR, LVSR, and MRAP vehicles. Through our experience and our strengths in design and development, Hendrickson Defense clearly understands that each defense application is unique, and thus requires a unique solution. Our involvement early in the process enables Hendrickson to deliver reliable, durable and innovative suspension systems to help support and protect troops, as they serve and protect. Hendrickson's products, while often unseen, are involved in many areas of life - from the trucks that deliver groceries and other goods to retail outlets, to construction vehicles that carry goods to build homes and improve our country's infrastructure. Hendrickson is just as involved with supplying products for robust defense vehicles that support and protect armed forces around the world. 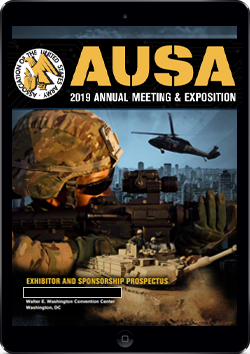 The 2018 AUSA Annual Meeting and Exposition will take place October 8-10, 2018 at the Walter E. Washington Convention Center in Washington, D.C.